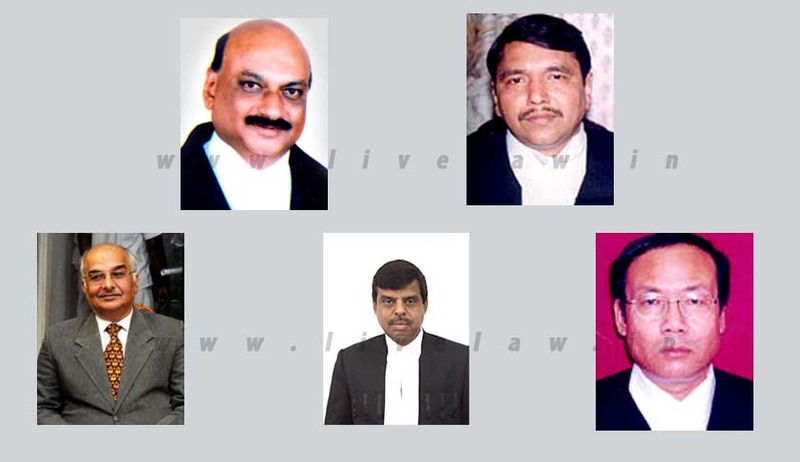 They have been appointed to Kerala, Calcutta, Sikkim, Tripura and Manipur High Courts. The President on Friday approved the appointment of five new Chief Justices across various high courts in the country. They have been appointed to Kerala, Calcutta, Sikkim, Tripura and Manipur high courts. The move comes a day after Attorney General Mukul Rohtagi apprised the Supreme Court of the delay of appointment of high court judges. The Attorney General had informed the court that the issue of appointment of high court judges was featured as the top priority in the agenda of the Central Government. Justice Shanatanagoudar Mohan Mallikarjunagouda, who was earlier transferred as senior-most judge from the High Court of Karnataka to the High Court of Kerala and latter appointed as Acting Chief Justice, has been confirmed as Chief Justice of the High Court of Kerala. “In the exercise of powers conferred by clause (1) of article 217 of the Constitution, the President is pleased to appoint Shri Justice Shantanagoudar Mohan Mallikarjunagouda, judge of the Kerala High Court, to be the Chief Justice of the Kerala High Court with effect from the date he assumes charge of his office.” You may read the earlier Live Law story in this context here. Justice Girish Chandra Gupta gets elevated as Chief Justice of the Calcutta High Court in the vacancy arisen following the transfer of Justice Manjulla Chellur as the Chief Justice of the Bombay High Court. Justice Satish Kumar Agnihotri, Acting Chief Justice, High Court of Sikkim, has been tipped in to be confirmed as its next Chief Justice. Justice Tinlianthangh and Justice Rakesh Ranjan have been elevated as new Chief Justices of the High Court of Tripura and Manipur, respectively.